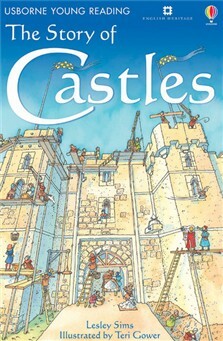 The fascinating history of castles told for children just beginning to read growing in reading confidence and ability. Explains in a lively way why castles were first built, what it was like to live in one, and the cunning tricks used to defend them. This is a funny, good book. I think everyone would like this book, big or small and it has lots of information in it too. Bought this for my 4-year-old to appease him on a long journey and it is still going strong 2 years later. The narration on the audio CD is excellent; the music and sound effects are fun and the book really makes castles come alive. I recommend you get the version with the CD - my boy is now learning to read for himself and there is much extra mileage to be had for the extra quid!